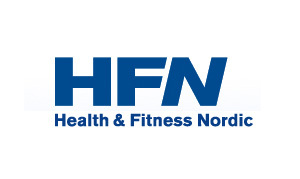 Health & Fitness Nordic AB (HFN) is the Nordic region’s leading and largest provider in the health and ﬁtness sector. The Group’s companies offer various training options, in addition to providing future instructors with education in training and nutritional guidance. By year end 2012, HFN had 336,000 members in 130 training centres in highly populated cities in Norway, Sweden, Denmark and Finland. Health & Fitness Nordic has a long-term commitment to the fitness industry. We take an active role in providing innovation in our market and we are continuously launching new products and new technologies. Our ambition is for our members to always feel confident that our companies is at the forefront of developments within health and fitness. HFN provides a whole spectrum of services – from low-cost, to full service through to high-end training options. Elixia Nordic operates 57 clubs in Norway Finland and Sweden and has 180.000 members.